Centrally located on Zhongzhen Rd. in downtown Hualien City, Taiwan, Da Shih Hotel is a modern Hualien hotel offering delightful accommodations and friendly services for you to experience a memorable Hualien travel. 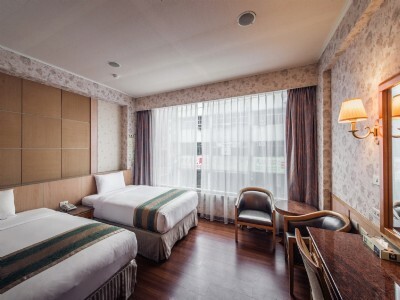 The hotel enjoys convenience in location, where Hualien Airport can be accessed in a 20 minute ride, while Hualien Train Station is reachable with a 10 minute ride for guests to connect to their next Taiwan destination easily. Also, fascinating Hualien attractions such as the Taroko National Park is reachable in a 40 minute short ride for Buluowan, Taroko Gorge, Tunnel of Nine Turns, Swallow Grottoes, Eternal Spring Shrine and many other geographical wonders that will enrich your holiday in Hualien. 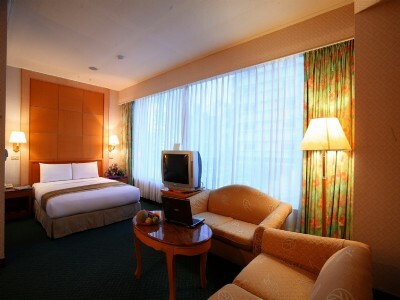 With a central location in Hualien City, guests may simply explore Hualien while accommodating at Da Shih Hotel. TWD 500 for additional guest with extra bed. Charge to be paid upon check-in. Breakfast included. Toiletries & Beddings included. TWD 500 for additional guest sharing existing bed. Charge to be paid upon check-in. Breakfast included. TWD 500 for additional guest with extra bed. Charge to be paid upon check-in. Breakfast included.